"Growth and Distribution in Developing Countries: The Experiences of Papua-New Guinea", ANNALS H. Federspiel (ed.) Southeastern Region of the American Association for Asian Studies, Ohio State Univ., Vol. V, Autumn 1983, pp. 100-110. (Abridged version appears in Duke Humanities Review, Vol. III Spring 1982 pp.60-73). "HOPE - Cumulative Indexes (1969-1983)", History of Political Economy 15.4, 1983 (with Jeff Biddle) pp. 629-686. "HOPE and the Journal Literature in the History of Economic Thought", History of Political Economy 15.3, 1983 (with Neil de Marchi) pp. 321-343. "American Macroeconomics in the 1940s - The Professional Dialogue", Proceedings of the American History of Economics Society 1985 Meetings, George Mason University, 19-22 May, 1985, pp. 1-45. "Arthur M. Okun: Economics for Policymaking" Journal of Economic Surveys 1988 Vol 2 No 3 pp.245-264. "Employment and Wages Policy in Papua New Guinea" Journal of Industrial Relations Vol.30 No.3 September 1988 pp.381-411. "The Oskar Morgenstern Papers" HETSA Bulletin, History of Economic Thought Society of Australia, No. 14. Summer 1990 pp.10- 16. "South Pacific Economies: A Guide to Recent Australian and South Pacific Research" in G. McCall (ed.) Sydney Talk: Australia in the South Pacific. Section editor and contributor. Centre for South Pacific Studies, Pacific Studies Monograph No. 1, November 1990, pp.8-20. "Structural Adjustment Issues in PNG" (with D. Enahoro and G. Argyrous) The Economic and Labour Relations Review. Vol.2 No.1 June 1991 pp.154-171. "Sidney Weintraub and the 'Noxious Influence of Authority'" History of Economics Review, No. 16 Summer 1991 pp.112-118. "A Conversation with John Nevile" in B.B. Rao (ed.) Essays in Economics, In Honour of Professor J.W. Nevile. Presented to him on his retirement. CAER, University of New South Wales 1994 pp.15-34. Reprinted in History of Economics Review No.21 Winter 1994 pp.94-104. "Anthropologists and Economists: Conflict or Cooperation" Journal of Economic Methodology Vol.1 No.1 June 1994 pp.81- 103. "Relevance, Scholarship and the Historian of Economics", Journal of the History of Economic Ideas, 3 (2), 131-155, 1995. "Developing Economies and World Trade", in Edward Tower (ed.) Development Economics I, Eno River Press, 15, 1995, 184- 196. "Economic Development in ASEAN Countries", in Edward Tower (ed.) Development Economics II, Eno River Press, 16, 1995, 72- 85. "Creating a Conducive Learning Environment: Economics at UNSW", (with Watson, J and Madigan, C) in O'Sullivan, G and Flowers, F (eds.) Teaching First Year Economics at Australian Universities, University of Canberra, ACT, 1995, 37-58. "Looking Thru the Rostovian Crystal Ball" Indian Journal of Applied Economics, Vol.6 No.4 Oct.-Dec. 1997 pp.1-12. "Okun, Arthur Melvin" in J.A. Garraty and M.C. Carnes (eds.) American National Biography, American Council of Learned Societies and Oxford University Press, New York, 1999. Vol. 16 pp.662-64. "Teaching High School Economics" in T. Bryant et al (eds.) Proceedings of the 6th Annual Teaching Economics Conference 1999 pp.187-99 (Abridged version in Economics Vol.35 No.1 1999 pp.23-31). "A Decade of Honours" (with G. Fishburn) in Proceedings, Seventh Annual Teaching Economics Conference, University of Western Australia and Edith Cowan University, 2000 pp.35-46. "Educating Australian Economists", Journal of Economic and Social Policy, Vol.5 No.2 Winter 2001 pp 1-12. "Recent Developments in the History of Economics" International Journal of Applied Economics and Econometrics, Vol. 10 No. 1 Jan.-March 2002 pp.115-125. Reprinted in K. Puttaswamaiah (ed.) Growth of Economics in the Twentieth Century, ISLE Publishing, UK 2009 (978-0-9823895-2-2) pp.383-391. "The Doctoring of Economics" in Simon Marginson (ed.) Investment in Social Capital, Academy of the Social Sciences of Australia, University of Queensland Press, Chapter 3, 2002 pp.73-89. Also appeared in a Special Issue of the Journal of Australian Studies, Volume 26, Issue 74, 2002. "B. Keynesianism" in John King (ed.) The Elgar Companion to Post Keynesian Economics, Edward Elgar 2003 pp.24-30. Revised & Updated in Second edition, Feb. 2012 pp.29-35. (with Satya Paul) "Alternative Structures and Teaching Modes for a Multi-Campus University" Economic Analysis and Policy, Vol.33 No.1 March 2003 pp 136-143. "Resilience of Financial Systems to External Shocks: Lessons from Australia" (with M. Monadjemi), Proceedings of the Annual Conference on Monetary Policy and Exchange Rates held by the Academy of Research in Money and Banking, Central Bank of Iran, May 2005. "Training the Economists of the Future" International Journal of Applied Economics and Econometrics, Vol.13 No.2 April-June 2005 pp.193-206. Reprinted in K. Puttaswamaiah (ed.) The Future of Economic Science (978-0-99823895-1-5, Isle Publishing, New Hampshire 2009 pp.199-210). "Indicators of financial instability" (with M. Monadjemi), Conference Proceedings of the 5th Global Conference in Business and Economics, Cambridge, England, July 6-8, 2006. Revised version published in The Journal of Money and Economy, (Central Bank of Iran) Vol.4 No. 4 Fall 2007 p.19-32. Johnson, M. Kriesler, P. and Lodewijks, J. (2006) Essays in Heterodox Economics: Edited Refereed Papers, 5th Australian Society of Heterodox Economist Conference, Society of Heterodox Economists, UNSW, Sydney. ISBN 978-0-7334-2417-5. "Tobin-Type Taxes and Capital Controls". International Journal of Applied Economics and Econometrics Vol 15. No 2 April-June 2007 pp 167-177. "Reforming Globalization: A Tribute to the Ideas of Kenneth Rivett" in L. Mollejas & V. Orati (eds) Italy, EU, Globalization, Proceedings of the International Institute of Advanced Economic and Social Studies International Congress, (Viterbo Italy March 31 & April 1 2006) Caracus, Venezuela 2007 pp.14-27. Also available in e-book form at www.confglob.com ISBN: 978980002462-1 and in International Journal of Applied Economics and Econometrics Vol 17. No 2 April-June 2009 pp 124-135. "Okun’s Law", "Structural Adjustment" and "Trade Liberalization", in William Darity (ed.) International Encyclopedia of the Social Sciences. Macmillan (2nd ed.). 9 Vols. Detroit: Macmillan 2008 p.35-36, 176-178, 427-428. "Dave Clark (1946-2008)" (with Peter Groenewegen) in Agenda, Vol.15 No.3 2008 pp. 101-104. "The Great Inflation of the 1970s: Evidence from the Archives" (with Robert Leeson) in R. Leeson (ed.) American Power and Policy, Palgrave Macmillan, Hampshire 2009 ISBN 978-1-4039-4956-1 pp.91-104. Enhancing the Effectiveness of Learning and Teaching in Economics (with Rod O’Donnell) (eds.) 2009. Proceedings of the 13th Australasian Teaching Economics Conference (September 2008) ISBN 978-1-74108-198-5 pp. 126. Published in book form by Lambert Academic Publishing, Germany 2010. "Keynesian Policies in Retrospect" International Journal of Applied Economics and Econometrics Vol 17. No 1 Jan-March 2009 pp 1-16. "Automatic and Discretionary Stabilizers" in K. Puttaswamaiah (ed.) Milton Friedman: Nobel Monetary Economist, ISLE Publishing, 2009 Chap.4 pp. 47-63. "Student Performance in a Large First Year Economics Subject: Which variables are significant?" (with G. Mallik) Economic Papers 29.1 March 2010 pp.80-86. "Asian Financial Crisis (1997)" (with James Ciment) in J. Ciment (ed.) Booms and Busts: An Encyclopedia of Economic History from Tulipmania of the 1630s to the Current Global Financial Crisis M.E. Sharpe, Inc. 2010 (978-0-7656-8224-6), 3 Vols. "Prior-learning, assessment structures and gender and ethnic concerns in introductory economics" (with G. Mallik) International Journal of Applied Economics and Econometrics, Special Issue: Warren Hogan, Vol.18 No.4 Oct.-Dec. 2010 pp. 69-86 (also Introduction pp.1-4). "Economists from the Antipodes: What can oral history tell us about the influences on their career development?" International Journal of Development and Conflict, Special Issue in Honour of Murray Kemp, Vol. 1, No. 3 (2011) 283–302. "The Elephant in the Room: Conflicting Demands on Academics in Australian Higher Education" Australasian Journal of Economics Education, Vol. 8 No.1 2011 pp.17-40. "Are we all Keynesians Again?" International Journal of Applied Economics and Econometrics, Vol. 20. No. 1, Jan-Mar 2012 pp. 204-215. "Oil Price Fluctuations and the American Economy" (with Mehdi Monadjemi) Global Review of Business and Economic Research, Vol.8 No.1 (Jan.-June) 2012 pp.171-180. "Two Unresolved Issues Emanating from the Global Financial Crisis", "Income Inequality and the American Dilemma", and "Games that Enhance Learning in Economics" The EBE Journal, Journal of the Economics and Business Educators NSW, Issue 1 2012 pp.12-15, 16-18 & 33-35. Reprinted in Econopak, Queensland Economics Teachers’ Association. "Perspectives on the Global Financial Crisis" pp.11-16 and "The Economics of Obesity" in The EBE Journal, Issue 1 2013. "Growth, Happiness and the Environment" pp. 29-32 & "Krugman on the GFC and Austerity" pp. 58-60 in The EBE Journal, Issue 2, 2013. Monadjemi M, Yoon K, Lodewijks J, 2012, Success and Failure of a Monetary Union, Online Journal of Social Science Research, vol 1, no. 7, pp. 213-220. Oscar Hauptman, Nithida Lin & Lodewijks, J. 2012. "Offshore Outsourcing". The EBE Journal, Journal of the Economics and Business Educators NSW, Issue 2, 2012 pp.22-27. "Political Economy in Greater Western Sydney" Journal of Australian Political Economy no.72, Summer 2013/14 pp.80-105. 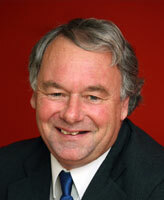 "John Nevile: The last Two Decades" The Economic and Labour Relations Review Volume 24 Issue 2, June 2013 pp.135-149. Monadjemi M, Yoon K, Lodewijks J, "Central Bank Behaviour before and after the Great Recession", Economics, Vol.2 No.5 2013 pp.55-61. John Lodewijks and Heath Spong, "Pedagogy, M-Learning and Financial Stringency", Australasian Journal of Economics Education, Volume 10, Number 2, 2013, pp.1-23. Monadjemi, M & J. Lodewijks "Post Inflation Targeting Monetary Policy: A Study of Britain, Japan and the United States" Expert Journal of Economics, volume 2, issue 1, 2014 pp.21-29. Monadjemi, M & J. Lodewijks "Inflation Targeting and Macroeconomic Stabilization" Research in World Economy Vol. 5, No. 2, September 2014 pp.93-98. "Comment [on Brennan]", History of Economics Review, No. 60 Summer 2014 pp.58-60. John Lodewijks and Tony Stokes "Is academic economics withering in Australia?" Agenda - A Journal of Policy Analysis and Reform, Vol.21 No.1 2014 pp.69-88. Monadjemi, M & J. Lodewijks, "Sovereign Debt and Economic Growth in the Euro Zone" International Research Journal of Applied Finance, Vol.5 Issue 12 Dec. 2014 pp.1343-1352. John Lodewijks & Mehdi Monadjemi, "Monetary Policy, Targets and Instruments" The International Journal of Applied Economics and Econometrics, Vol.23 No.1 Jan./March 2015 pp. 35-52. "The Global Financial Crisis: Antecedents and Implications" in Global Financial Crisis: Causes, Consequences and Impact on Economic Growth (Nova, New York, forthcoming). "The history of economics ‘down-under’: Repulsing the barbarians at the gate" in Reclaiming Pluralism: Role of History of Economic Thought in Heterodoxy – Essays in Honour of John E. King; Jerry Courvisanos, Jamie Doughney and Alex Millmow (eds), Chapter 5 (Routledge, London, forthcoming). "Stark: Migration of Labor" Pacific Viewpoint Vol. 36 No.1 May 1995 pp.97-99. "Asian Crisis: 5 Books" Development Bulletin No.52 June 2000 pp.103-105. "Goldstein: Asian Financial Crisis & Noland: Global Aspects" Asia Pacific Viewpoint Vol.41 No.2 August 2000 pp.210-211. "Hamilton: Growth Fetish" International Journal of Development Issues, Vol.2 No.2 December 2003 pp.91-94. "Ken Rivett: A Review in Tribute", Economic and Labour Relations Review, Vol.15 No.2 Jan. 2005 pp.309-319. "De Vroey: Involuntary Unemployment: The Elusive Quest for a Theory", "McCann: The Elgar Dictionary of Economic Quotations" and "Collander, Holt and Rosser: The Changing Face of Economics: Conversations with Cutting Edge Economists", History of Economics Review, No.42 Summer 2005 pp.123-130. "Endres & Fleming: International organizations and the Analysis of Economic Policy" Review of Political Economy, Vol.18 No.1 January, 2006 pp.122-125. "Harcourt: Beyond our Shores", Economic and Labour Relations Review, Vol. 17 No.1 September 2006 pp.259-260. "Mirowski & Sent: Science Bought and Sold", Review of Political Economy, Vol.20 No.3 July 2008 pp.465-469. "Stiglitz: Economics for an Imperfect World" Review of Political Economy, Vol 21 No.1 Jan. 2009 pp.173-176. Roger Frantz (ed.) "Renaissance in Behavioral Economics: Essays in Honor of Harvey Leibenstein", History of Economics Review, No. 49 Winter 2009 pp.102-103. "Tim Harcourt: The Airport Economist", The Economics and Labour Relations Review, Vol.20 No.2 July 2010 pp.139-140. "Sylvia Nasar: Grand Pursuit, The Story of Economic Genius" The Economics and Labour Relations Review, Vol. 23 No. 2, June 2012 pp.149-154. "G.C. Harcourt: The Making of a Post-Keynesian Economist: Cambridge Harvest", History of Economics Review, Vol.58 Summer 2013 pp.103-106. "Thomas Klikauer: Managerialism: A Critique of an Ideology", The Economics and Labour Relations Review, 24(4) December 2013 pp.587-591. "Josh Bivens: Failure by Design: The Story behind America’s Broken Economy", Review of Political Economy, Vol.26 No.4, 1-2, 2014. Life Member of the Australian Fulbright Association.